The Leisure World Group is celebrating their 1st Birthday of Ebor and Tyneside Leisure World – They are holding three events at all their Leisure World Sites from Friday 5th until Monday 8th April 2013. They invite you to “Come along and join us for FREE food, drink and entertainment as well as some FANTASTIC deals and demonstrations from the top caravan and motorhome manufacturers in the country. Part of the celebrations will be the unveiling of the Bailey Pegasus GT65 at Ebor Leisure World? Elddis will also be launching EXCLUSIVE SHOW OFFERS during the event. Also over the long weekend from April 5th ‘til 8th Catterick Caravans Leisure World are holding a Motorhome Event. 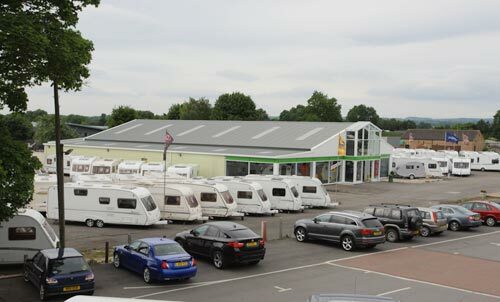 They have a great selection of both new and used Motorhomes. Gary will be on hand with his Motorhome team to answer all your queries and to help you purchase the perfect Motorhome for your needs.